WELCOME! 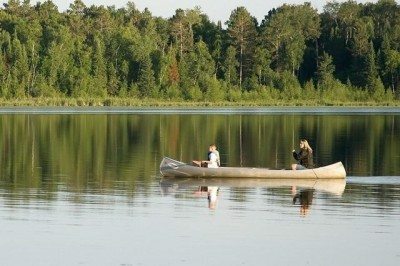 We invite you and your family to vacation with us on 8th Crow Wing Lake. We have been specializing in resort vacations for the past 29 years and look forward to your visit. 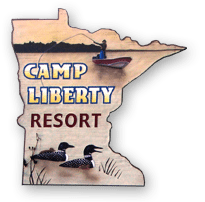 Spread along 2,100 feet of shoreline on the west side of 8th Crow Wing Lake, in northern Minnesota, Camp Liberty Resort is truly a vacationer's delight. The beautiful natural setting, clean and comfortable lake level cabins, excellent fishing and swimming, combine to make our resort a place where the family can relax in an uncluttered atmosphere. Relax with a good book, sit by the pond, swim, sunbathe or fish and forget your everyday pressures! We take great pride in the cleanliness of our cabins and resort grounds and make every effort to ensure that our valued guests have a relaxing and enjoyable vacation. Whether you choose to spend time with us in the spring, summer or fall, we are confident you will enjoy our facilities and the relaxation of a Northern Minnesota vacation. We look forward to meeting and serving you.